Upgrade the look and feel of your outdoor living space with the Salta 2-Seater Lounge Set that features an elegant wicker texture and extra wide seats with deep fill cushions. Made of a weather-resistant resin, the set is protected against the elements and will never rust, rot, decay, or fade. Easy to assemble thanks to the innovative FLOW technology that also gives the 2-seater sofa, 2 armhairs and table a stylish, sleek appearance. 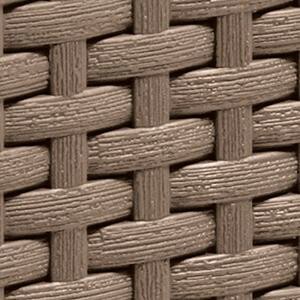 Constructed of a durable, all weather-resistant resin that boasts an attractive wicker texture to offer the perfect blend of style and durability. The chairs come with extra-thick cushions, wide seats, and wide armrests with a straight top to offer a whole new level of comfort. The ingenious FLOW technology makes assembly as easy as possible while also giving the set an elegant, sleek look.